The 11th Middle East and North Africa International Franchising and licensing Exhibition in Cairo will start on May 22nd, 2014. Organized by the Egyptian Franchise Development Association (EFDA), a member of the World Franchise Council since 2005. EFDA represents and serves the franchise industry in Egypt, promoting investments through franchising, encouraging training, and working to solve common problems in the franchise industry. • Better opportunities to get more visitors from both in and outside Egypt. • The easiest and most cost effective way to meet potential franchisees. • Present your business concept in an exclusive and specialized space. • Initial commercial agreements with other sector companies and suppliers of dedicated products and services. • Know the franchise trends in Egypt. • Exploit the instruments and actions media mix that EFDA provides to achieve the selected target. • Take advantage of this unique opportunity and invite your BEST PROSPECTS. • Target the serious and most qualified buyers you want to meet face to face from across Egypt and MENA Region. • Expansion, selling single units, area developments or master franchisees, this is the industry’s one stop franchise event organized by EFDA partnered with SFD and endorsed by H.E Prime Minister of Egypt. • Egypt’s substantial population makes it the largest market in the Arab world, with the population of Cairo at over 17.8 million and Alexandria at over 4 millions in 2009 with a total population of 80 million. • Egypt historical appeal privilege its competitiveness compared to other holiday destinations, which positively reflects on the retail market attracting 15 million tourists. • Egyptian economic atmosphere digests new sectors transformation specially this new revolution in the service sectorthattook place lately. 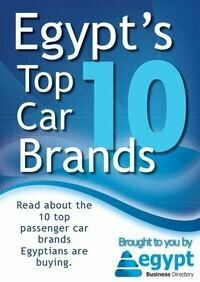 • Franchising continues to experience extraordinary growth in Egypt and all over the MENA Region.